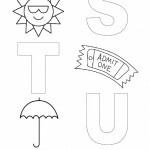 Kids will have fun learning their letters with our alphabet coloring pages! 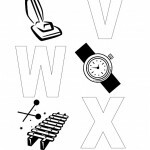 These worksheets are perfect for preschool and some kindergarten aged children. 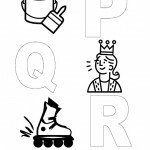 Each alphabet coloring sheet features 3 letters and a picture for each letter. 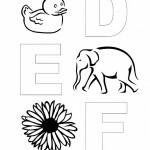 Encourage your child or students to identify the letter, sound out the word, then color the pictures. 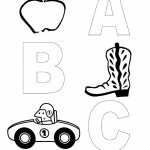 For students who are ready for more challenge, have them cut out the letters and pictures and glue them onto another sheet while matching the correct letter and picture. 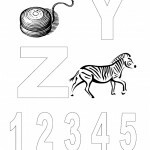 Click each image below to view and print at full size. Or print them out as PDF files. 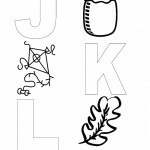 Nine free printable coloring pages featuring the letters of the alphabet. 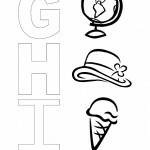 Perfect for preschoolers, homeschool, and keeping little ones entertained…. 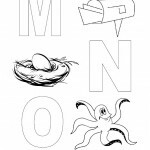 Nine, free alphabet coloring pages perfect for preschoolers, kindergarten, homeschool and fun….